As full service Indiana Injury Lawyers and Indiana Accident lawyers, the law firm of Crossen Kooi is dedicated to providing strong advice and aggressive legal representation to victims who have been injured or lost a loved one as a result of the negligence of another or within the course of their employment. Crossen Kooi Law has a dedicated staff that focuses their practice on workers compensation and representing clients injured at work or on the job, as well as victims of auto accident and semi truck collisions. Crossen Kooi practice ranges from construction site accidents, factory injuries, repetitive motion injuries to car accidents with work vehicles or while driving your vehicle during your employment. Our firm is dedicated to the representation of wrongful death, medical malpractice and personal injury victims and their families throughout the states of Illinois and Indiana. We represent individuals and their loved ones and never work for or defend insurance companies. The Indianapolis Personal Injury Lawyers and Illinois Personal Injury Lawyers at Crossen Kooi Law represent victims of the most common types of personal injury claims such as car accidents and car crashes, work accidents and workers compensation claims, slip and fall injuries and tripping accidents, assault claims and battery injuries, property accidents and premises injuries, and product defect accident and product liability claims. When lawyers reference personal injury they often are also referring to medical malpractice and dental injuries and accidents. Medical Negligence claims can also encompass physical conditions or diseases frequently found in the work place, including asbestosis and mesothelioma,emphysema, bronchitis, chronic asthma, COPD, and chronic obstructive airways disease), occupational or work-related deafness, occupational or working stress, and repetitive motion injury cases. To establish a personal injury claim, plaintiffs generally have to prove that they were injured as a result of the negligence or neglect of another (this does not apply to work comp or most work related injuries). Negligence in a sentence can be defined as an injury or damages caused by the wrongful conduct of another. While this simplifies a plaintiff's burden of proof for an Indiana Personal Injury Claim or Illinois Personal Injury claim, a personal injury lawsuit case can be defined by the subjective facts and timeline of each particular case. In order to effectively protect your interests, it is essential that you contact an Illinois Personal Injury Lawyer or Indiana Personal Injury Attorney so that they can evaluate the facts of your claim. Please contact the Indianapolis Personal Injury Lawyers at Crossen Kooi Law for a FREE evaluation of your case. Call us today at 866-569-1335. At Crossen Kooi Law, our Semi Truck Accident Lawyers are well versed in the complex issues that develop following Indiana Truck Accidents and Illinois Trucking Collisions. Large trucks are often referred to as big rigs, tractor trailers, 18 wheelers or semis. No matter what large trucks are called, all involved in American business recognize they are an essential component of the United States economy and business industries. Performing tasks that include everything from the transport of raw products and the delivery of finished goods (including agricultural products, textiles, chemicals and manufactured goods), large trucks are an irreplaceable component of this country's transportation network. Semi trucks' value exists in their versatility of size, shape and cargo. Because they are flexible in design and transport, trucks can go places other vehicles (such as trains and planes) cannot. Although their utility is undeniable and unmatched in the transportation marketplace, so too is the danger they can pose when not properly operated. The danger of semi trucks is found not only in their numbers, but also in their construction and use. Big trucks carry significant weight, which in turns reduces their control and stopping distances as well as the damage they can cause when involved in impact collisions and accidents. The Financial Impact after an Accident with a Semi TruckWhile clearly the first order of business following an accident with a big rig is the retention of immediate and competent medical services, the effects caused by a collision with a big truck can linger well beyond the emergency room. These damages can include property damage, lost wages, loss of future income, medical bills, incidentals, etc. Once a victim's health is stable, they should immediately consult with an experienced Indiana trucking accident lawyer to initiate the process of gathering evidence, protecting their rights and initiating the financial recovery process. If you or a loved one has been injured or killed by a truck or auto accident, please contact our firm to obtain a free consultation regarding your rights, potential claims and what is necessary to ensure efficient and effective recovery of your damages. Large Truck and Semi Tractor Trailer Statistics Nearly 500,000 large truck accidents occur each year on United States Roadways Out of those 500,000 accidents and collisions, approximately 5,000 fatalities involving semis occur Out of all traffic collision and accidents on United States roadways, nearly 12% involved large trucks or big rigs While there are limitless reasons and causes of semi truck accidents, our experience in representing victims of these accidents has shown us some repeat issues and problems which include, but are not limited to, the following: Driver Error (in-cab distractions such as talking on the phone, texting, adjusting radio controls, consumption of food/drink, etc.) Tiredness, fatigue or lack of sleep Improper training, lack of driver experience or failure to follow training Driving while under the influence of drugs or alcohol, intoxication Disobeying traffic control signals, statutes or regulations Equipments failure, defects or lack of maintenance Failure to appreciate and/or heed the dangers of poor weather conditions In our experience representing victims of these serious accidents involving big rigs, we have learned some important lessons. First, there is no such thing as too much preparation, precaution or patience for a semi truck driver or their employers. Second, failure to heed safety rules, regulations and laws can and will cause injuries. Safety rules and regulations are in place for a reason. Failure to acknowledge or follow the same can and will lead to the results those who put the rules and regulations in place were trying to avoid. An experienced Indiana Workers Compensation Lawyer or Work Comp Attorney can be an extremely valuable asset when an individual suffers serious injury or death while in the course of their employment. The body of law frequently referred to as Work Comp or Workers Compensation can be complex and difficult to navigate for the average worker trying to deal with these issues alone. A skilled work injury lawyer can ease this difficulty and maximize an injured employees recovery under their respective state law. The Workers Compensation Lawyers of Crossen Kooi Law work diligently on behalf of injured workers and their families and have extensive experience in handling these claims. Whether you are injured on the job, on the road or at the hands of another companyÃâ¢s worker, the lawyers of Crossen Kooi are here to help. The following is a brief outline of what an injured employee may face should their injury occur while at work. Indianas workers compensation statutes are intended to provide efficient and effective resolution for employers and their workers when disputes arise related to an employeeÃâ¢s on-the-job injury. The work comp system is a no-fault body of law intended to resolve disputes through the administration of formal and informal settlements and claims. The processing of work-related injuries and their associated claims are the primary purpose of the a StateÃâ¢s Workers Compensation Board; however, workers compensation statutes are also charged with the duty to collect and analyze statistical information concerning injuries the are sustained in the workplace and publish those findings to the public. When a worker in the state of Indiana is hurt on the job, there employers are obligated to file a first report of injury and report the incident to the States Worker Compensation Board. Following this report, your employer is obligated to investigate your claim and determine whether your claim is compensable. As a general rule, a claim is compensable in Indiana if the worker was injured in the course of and within the scope of their employment. These particular issues can be difficult to determine; however, the Indianapolis Workers Compensation Attorneys of Crossen Kooi Law are here to help. Typical Workers Compensation benefits may include the following: Weekly temporary total disability (TTD) payments while an employee is off of work; Medical care and treatment at the expense or the employer or their insurer. Typically, this treatment is directed by the employer; A lump sum settlement or permanent partial impairment (PPI) award if the incident results in permanent injury. An example of permanent injuries that may result in a PPI lump sum award may be: Back or spinal injuries; Amputation of toes, fingers, or limbs; Loss of vision or a reduction in eye sight; Crush injuries to finger, toes, hands or feet; Brain injuries causal mental or physical impairment; Neck or cervical injuries; Hearing impairment or hearing loss; Fire or chemical burns; and Any injury that causes sustained impairment or loss of function to any part of the body. Wrongful death claims are somewhat self-descriptive. These claims can occur when a person is killed due to the negligent or intentional acts, abuse or misconduct of an individual, company or entity. These acts can vary in circumstance and facts, and may include reckless or careless driving, assault and/or battery, a death in the course of crime, drunk driving , vehicular manslaughter, manslaughter, murder, or medical negligence or abuse. If a victim is wrongfully killed as a result of such acts, their family, dependents or loved ones may have a basis for a lawsuit against the party or parties who caused the death and/or committed or contributed to the effect of the incident causing death. Under Indiana's and Illinois' Wrongful Death Acts, a child is entitled to compensation for the loss of a parent, as well as the amount of financial support the child would have received from the deceased parent throughout their age of minority. Likewise, a spouse may recover damages for loss of his or her spouse's love and companionship and a lifetime of expected support. Wrongful Death claims follow a very specific body of statutes that must be carefully followed to effect compensation. 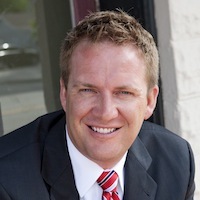 Jeffrey R. Kooi is a founding member of Crossen Kooi Law. Mr. Kooi, who's been named to the Rising Stars list in the 2009, 2010 and 2011 Indiana Super Lawyers (an award reserved for less than 2.5% of all Indiana attorneys), holds a license to practice law in the States of Indiana and Illinois and is licensed to practice before the Federal Courts in the Northern and Southern Districts of Indiana, and the Northern, Central, and Southern Districts of Illinois. Mr. Kooi was also recently named to The National Trial Laywers Top 40 Under 40. Mr. Kooi is a graduate of the Indiana Trial Advocacy College and maintains a practice dedicated to representing individuals and loved ones who have suffered personal injury or death as a result of negligence, malpractice or illegal conduct of others. This practice includes, but is not limited to, victims of car accidents and car crashes, injuries at work or through a victims employment, and medical malpractice, including, nursing home and hospital claims. Through his practice, Mr. Kooi has amassed a depth of experience as a litigator and takes pride in his reputation of providing clients strong advice and aggressive representation inside and out of the courtroom. Mr. Kooi believes in one-on-one interaction with clients. They need to know what we're doing and why we're doing it at all times,Kooi says. This is ultimately about their life and it is their right to be involved in the process from start to finish. It's their case, and that is a fact we never forget. "Our firm educates clients about the specific details and nuances of each case, including potential outcomes. We make sure their condition is properly assessed and treated, and we work with each client to evaluate the total ramifications of their loss, both financially and emotionally," Kooi says. No one can return to you what youve lost, Kooi says. But we believe you can move forward with the help of strong advice, aggressive representation and compassion. With these core values in mind, our law firm will give you and your loved ones peace of mind in knowing that you are taken care of. Trevor J. Crossen was born in San Antonio, Texas, and grew up in Dallas. Mr. Crossen received his B.A. at Princeton University in 1991. He played Varsity Football while at Princeton University and helped lead Princeton to an Ivy League Championship in 1989. Mr. Crossen received his J.D. from the Indiana University School of Law at Indianapolis in 1995. He is a member of Phi Delta Phi Fraternity, as well as becoming a member of the Order of Barristers in 1993. In 1994, Mr. Crossen participated in the National Moot Court Competition, American Bar Association, as well as the Moot Court Competition, National Health Law. Also, Mr. Crossen is a member of the Indianapolis Bar Association (Litigation Section), the Indiana State Bar Association (Council Member at Large), the Indiana Trial Lawyers Association and the American Bar Association. He is also a Barrister Member of the prestigious American Sagamore Inn of Court. He is admitted to practice law in the State of Indiana, the United States District Court for the Southern and Northern Districts of Indiana and the Seventh Circuit Court of Appeals. Mr. Crossen is also admitted to practice before the United States Supreme Court. Mr. Crossen practiced with the firm of Riley Bennett & Egloff where he worked primarily in the areas of insurance defense litigation, personal injury and wrongful death. 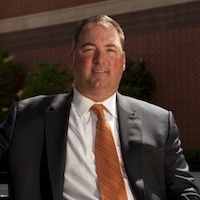 In June 2000, Mr. Crossen left RBE and the defense bar to form a personal injury law firm in Carmel, Indiana. 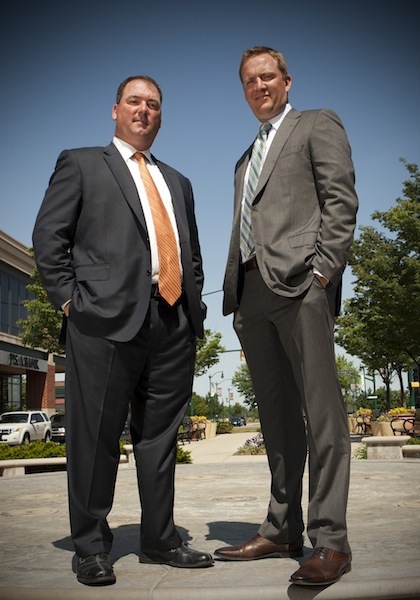 Mr. Crossen joined Mr. Kooi in 2012 to form the personal injury law firm of Crossen Kooi Law. Mr. Crossen specializes in representing injury victims relating to motor vehicle, semi-truck, construction site and premises liability accidents. Mr. Crossen also specializes in representing people who are involved in work accidents. Mr. Crossen and his wife, Kathryn, reside in Carmel with their sons Blake, Dylan, and Corbin.